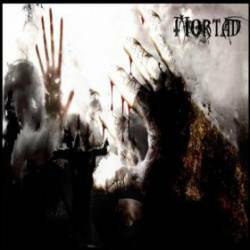 Mortad are a London based metal band founded by Iranian Somi Arian. I first came across the band when they played at the Bloodstock festival in 2011, where they put in a seriously impressive second stage performance. Their new album is being given away free with the latest issue of Metal Hammer magazine in the UK, and to coincide with this, their EP, Pandemic Paranoia which was self released in 2011, is being re-released. The obvious comparison for Mortad is Arch Enemy - you've got brutally powerful metal coupled with growling vocals from a female singer. Equally Arch Enemy are big supporters of Amnesty International while Mortad's lyrics attack the oppression of people by religion and government, so both are looking at more intelligent topics than you get with many bands. To write Mortad off as being Arch Enemy clones would be completely unfair though - both have their own distinctive sounds, but fans of one are likely to like the other. The music is probably best categorised as "Melodic Death Metal" - despite the speed and power of the music the melodies remain prominent. This is really good stuff - the music is powerful and well played, and the vocals despite the growling style are still clear enough for the lyrics to be clearly made out - something that sadly isnt always the case with some bands. With this reissue of the EP, there is a bonus track - "Waste of my rage", which is taken from their debut album, "The myth of purity"
If you're a fan of bands including Arch Enemy or Holy Moses then you really need to check out Mortad. If you've got the album then I'd certainly recommend getting the EP as well. With the re-release of this EP, coupled with the release of their album, and forthcoming festival appearances at Hammerfest in March, and Metal Female Voices Fest (MFVF) in October, Mortad are going to gain a lot of new fans this year. This is a band you're going to hear a lot more from in the next few years.